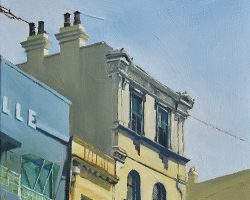 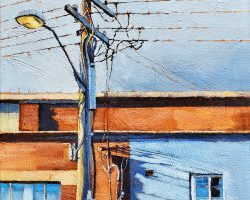 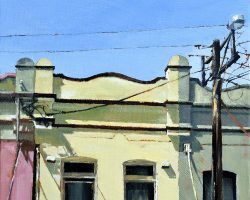 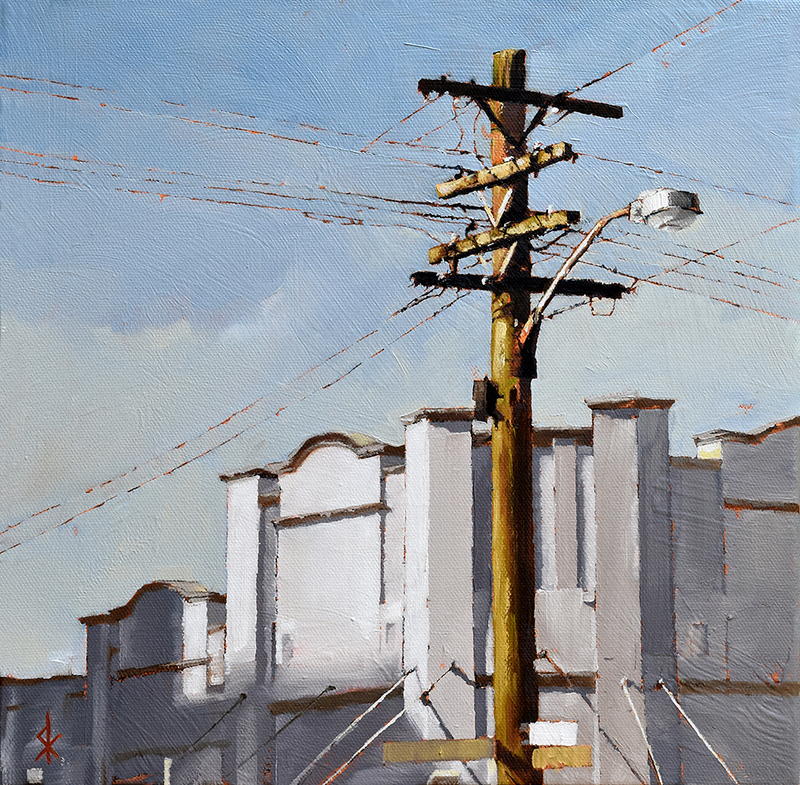 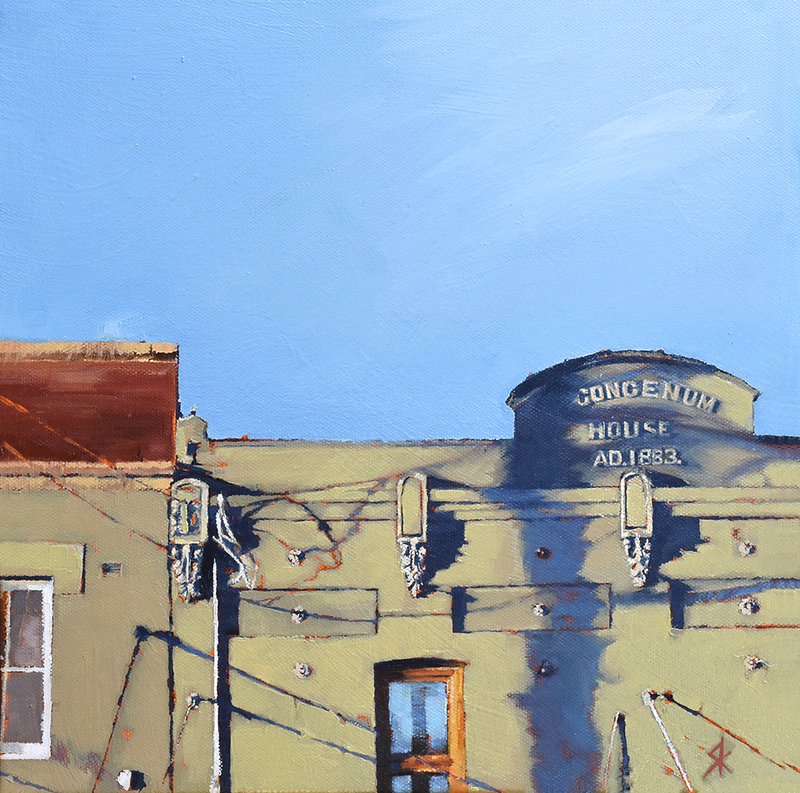 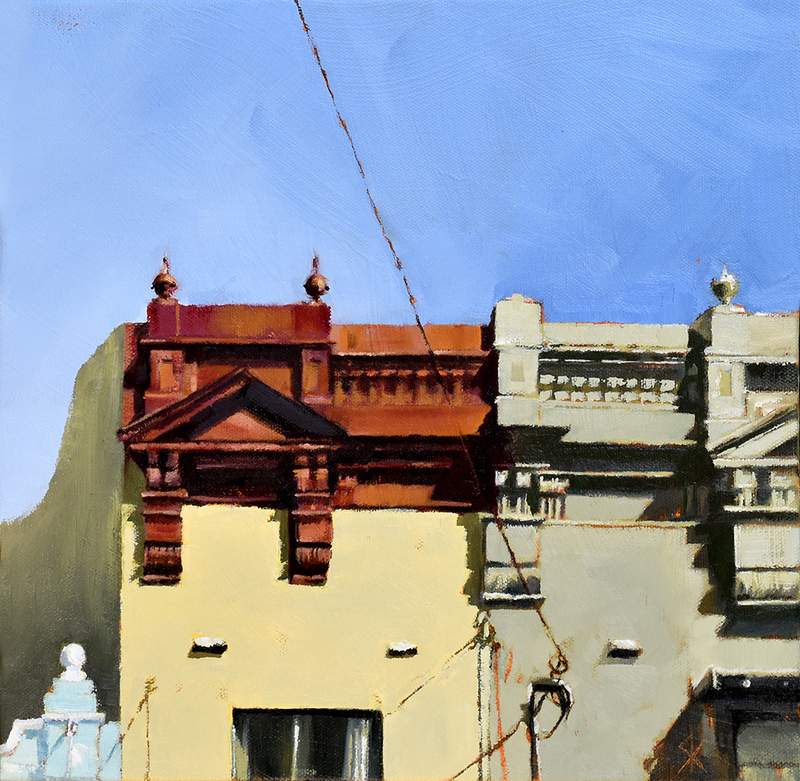 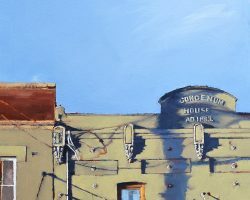 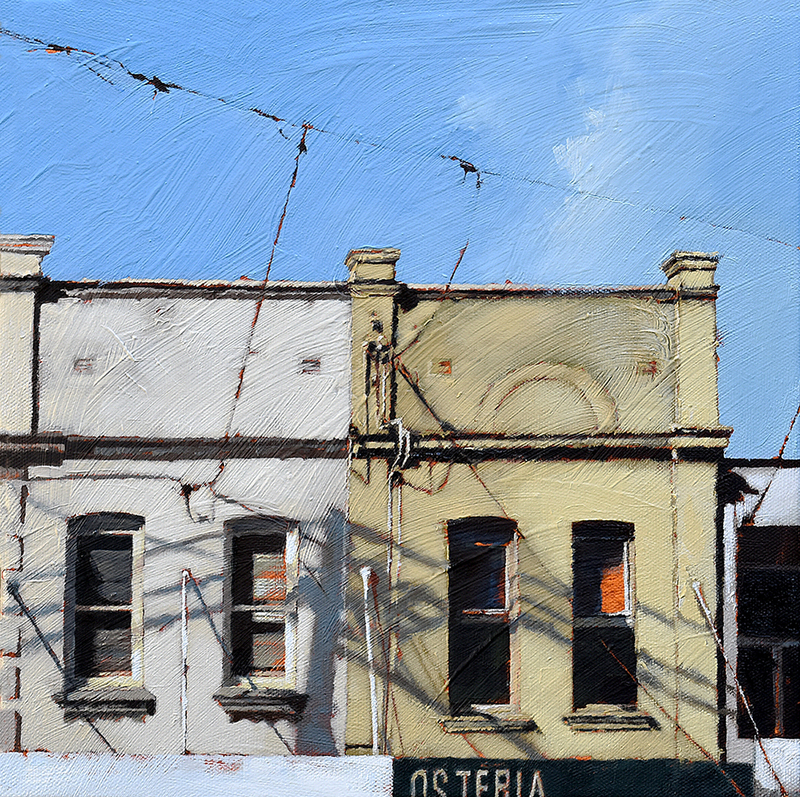 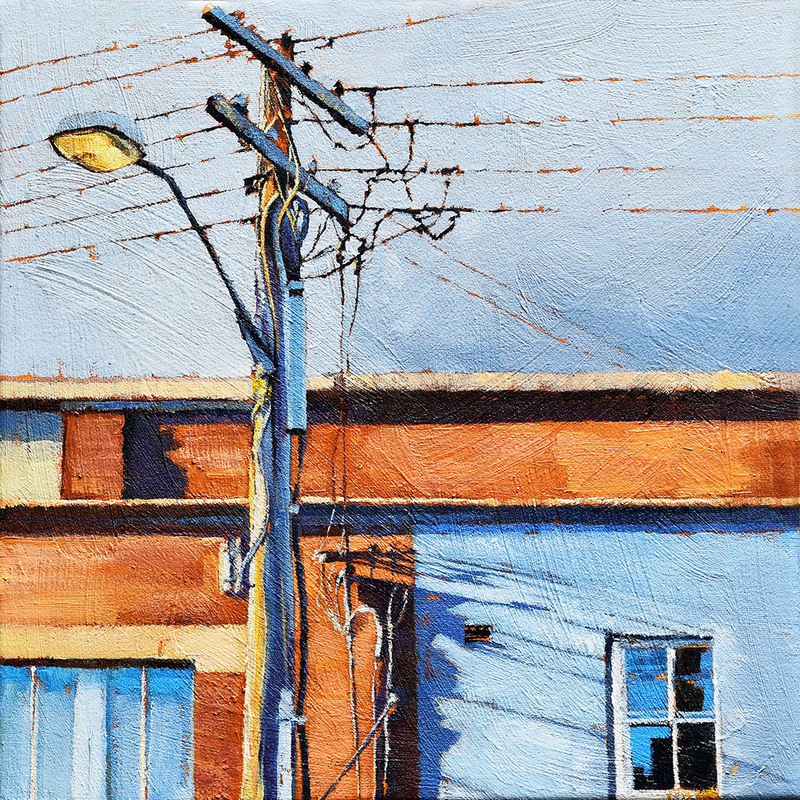 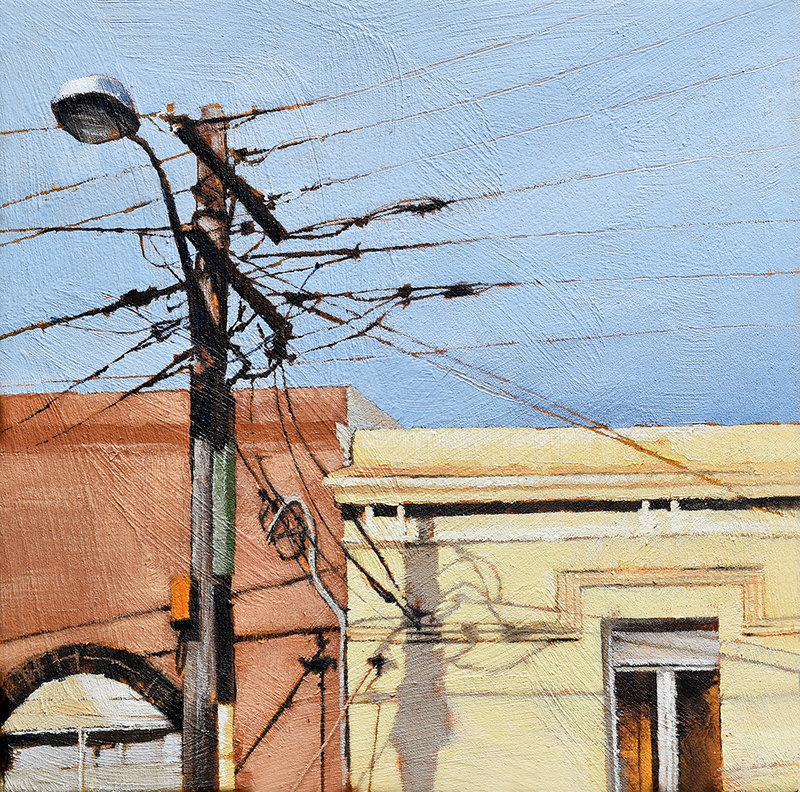 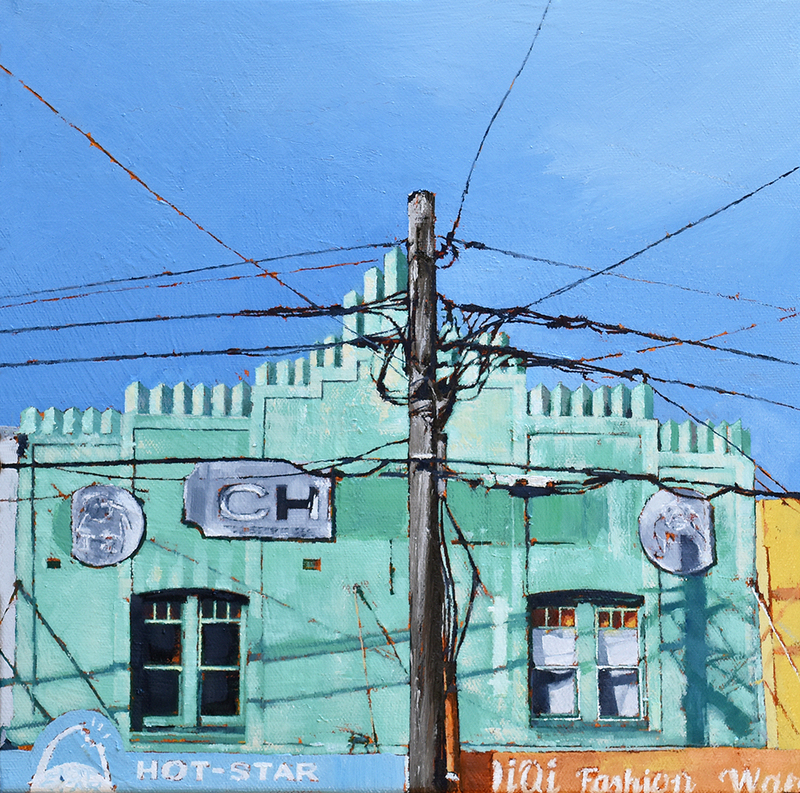 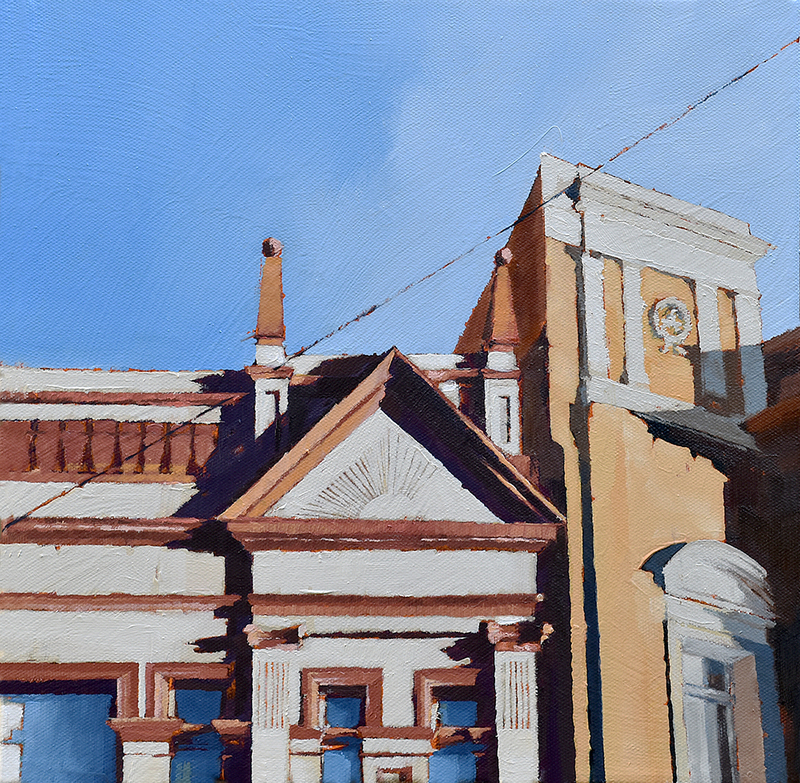 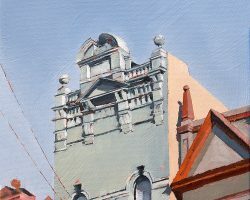 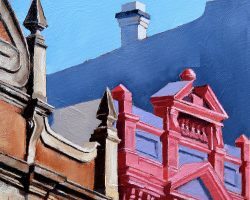 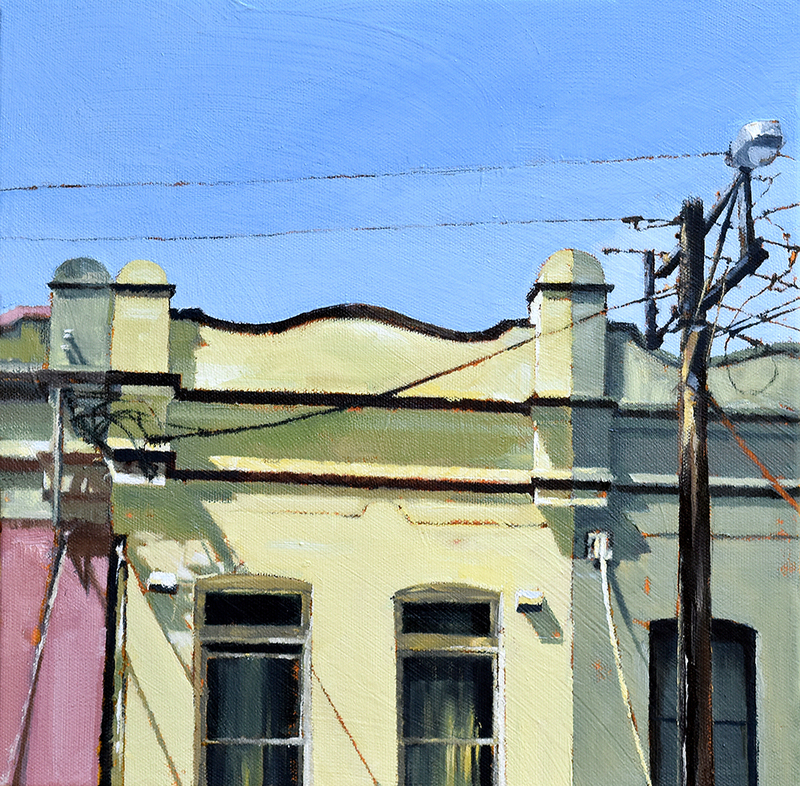 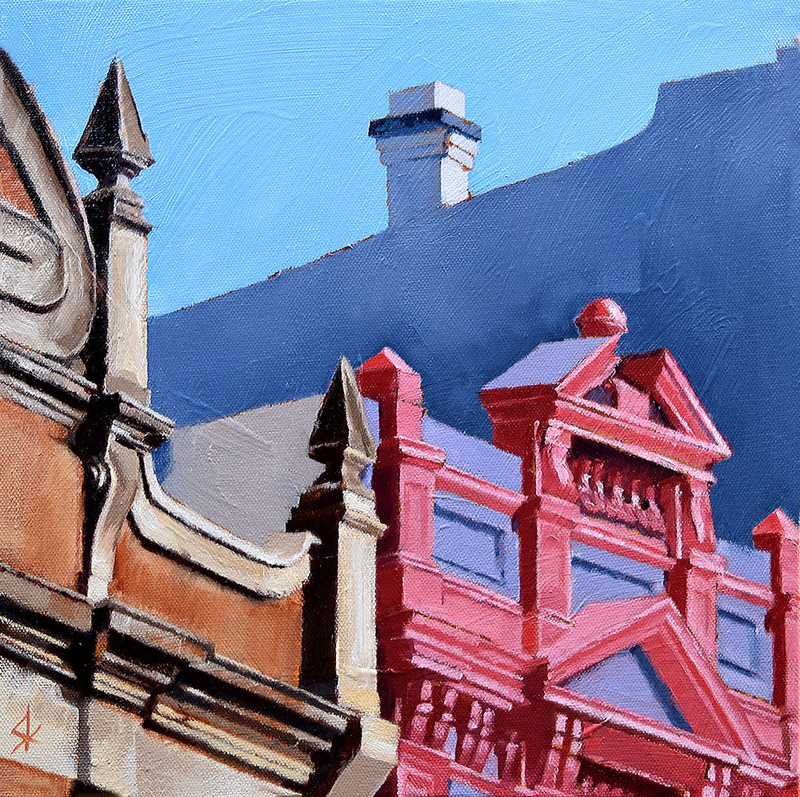 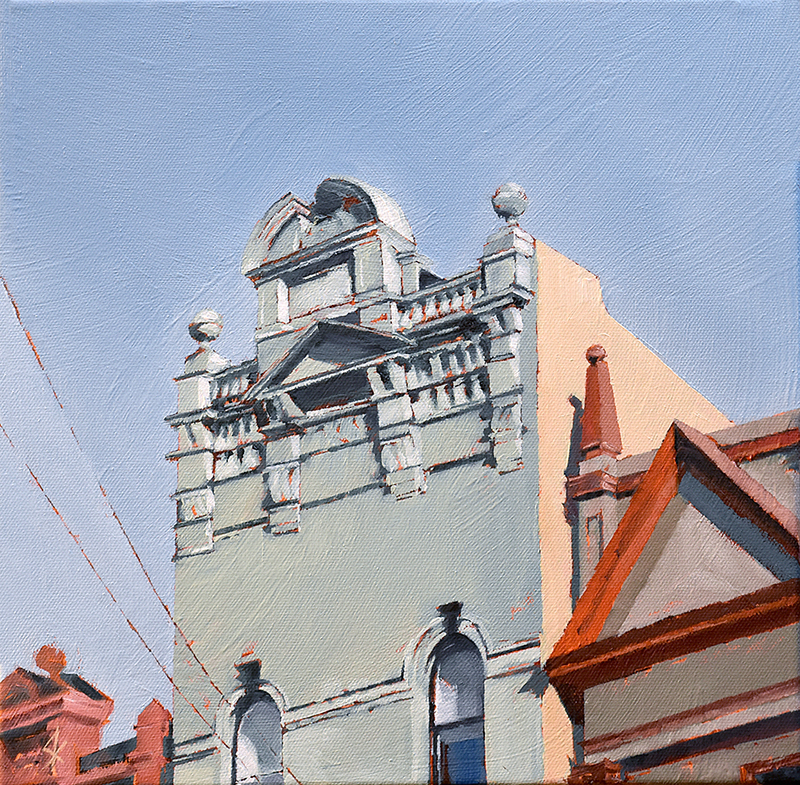 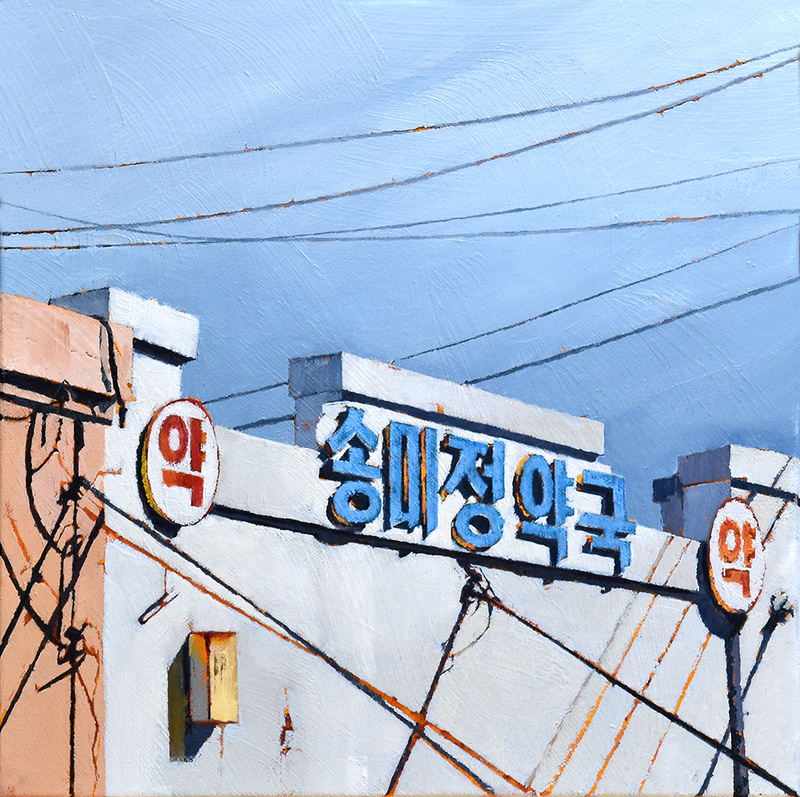 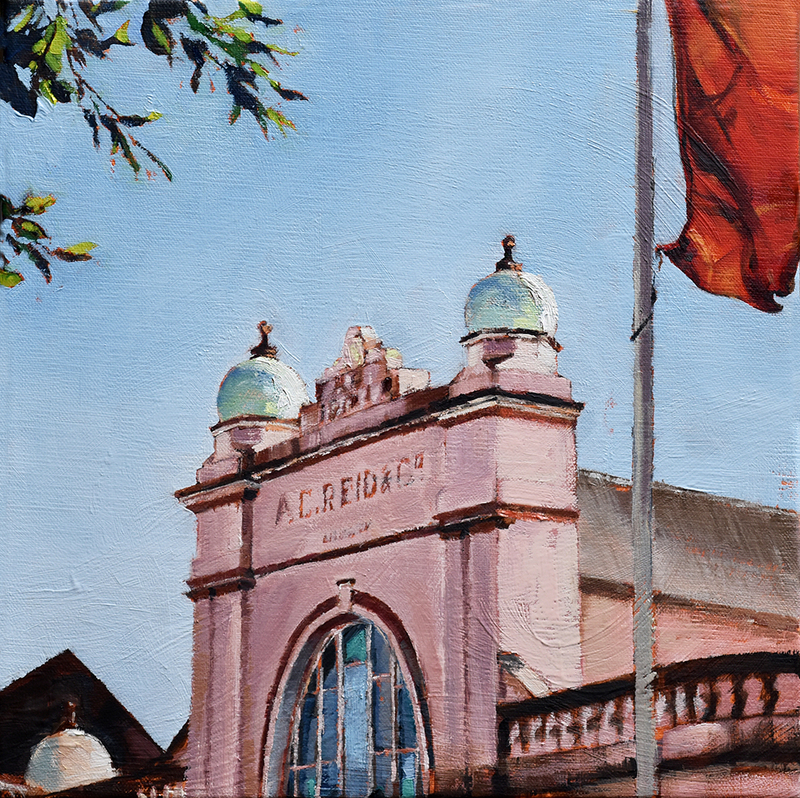 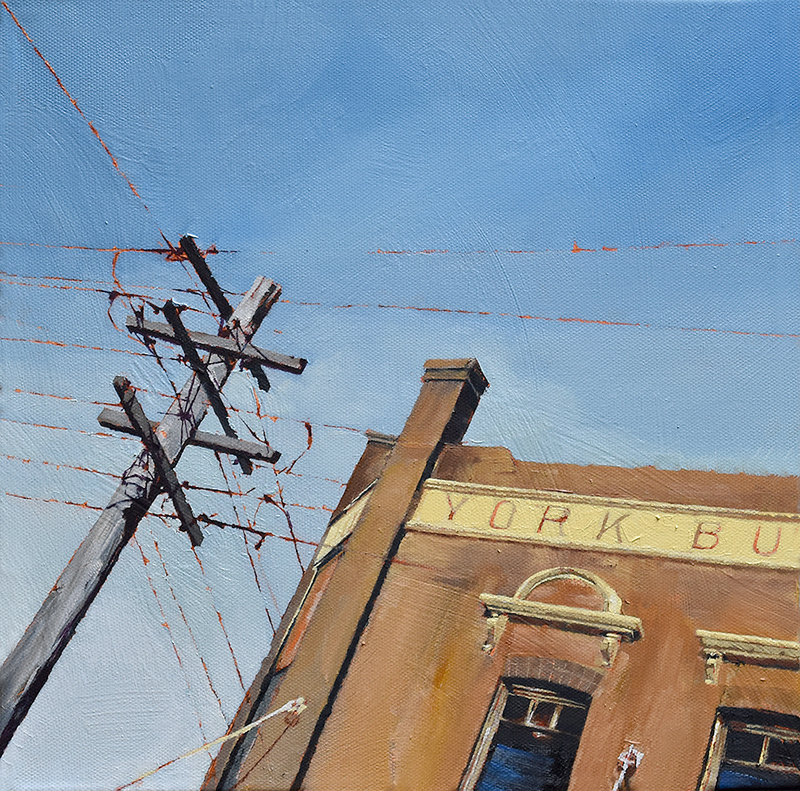 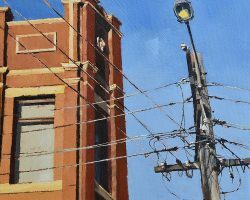 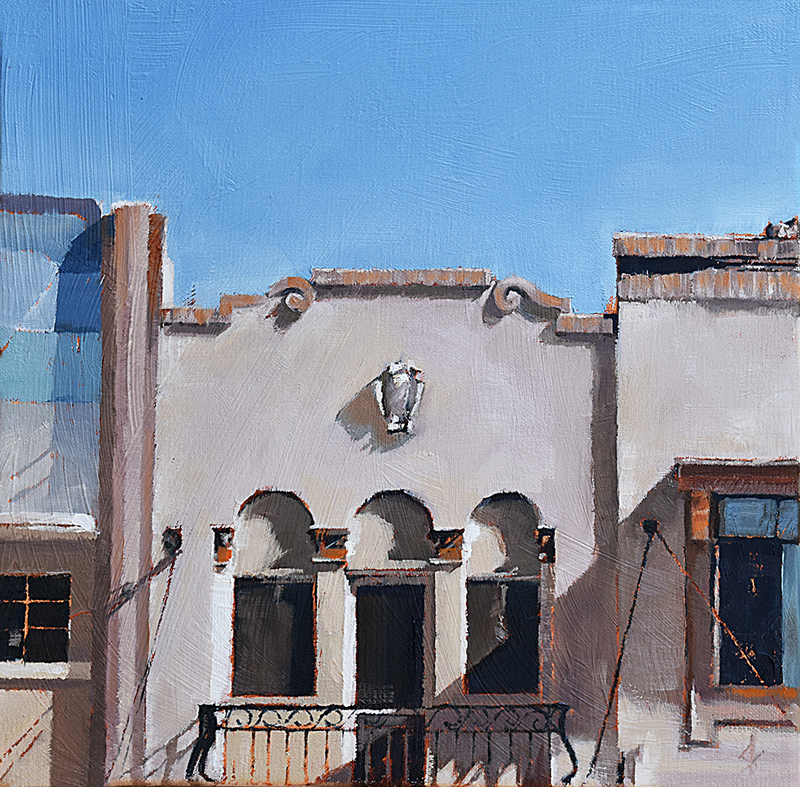 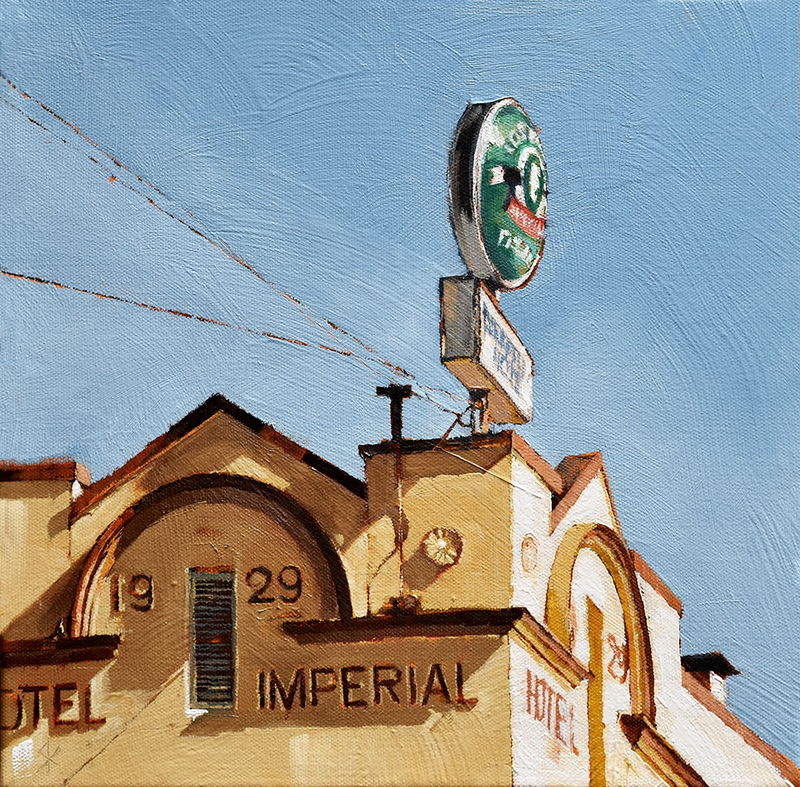 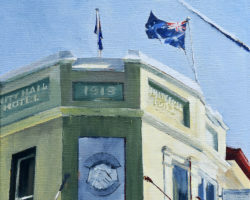 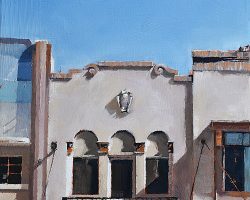 A portfolio of recently SOLD facade & rooftop paintings. 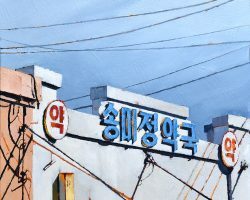 Some of these were exhibited in various group shows in 2017/18. 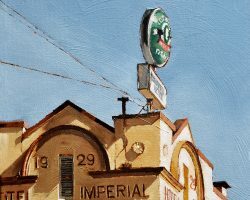 Some sold before they were exhibited so they are not shown in any particular order. 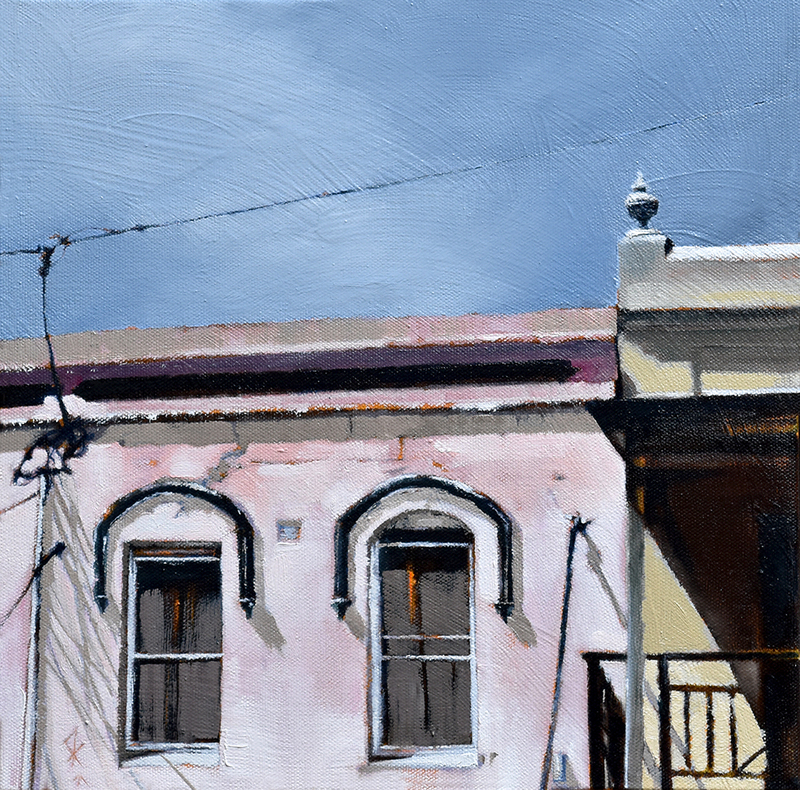 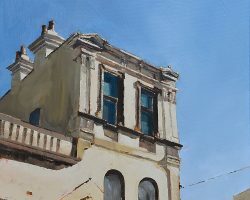 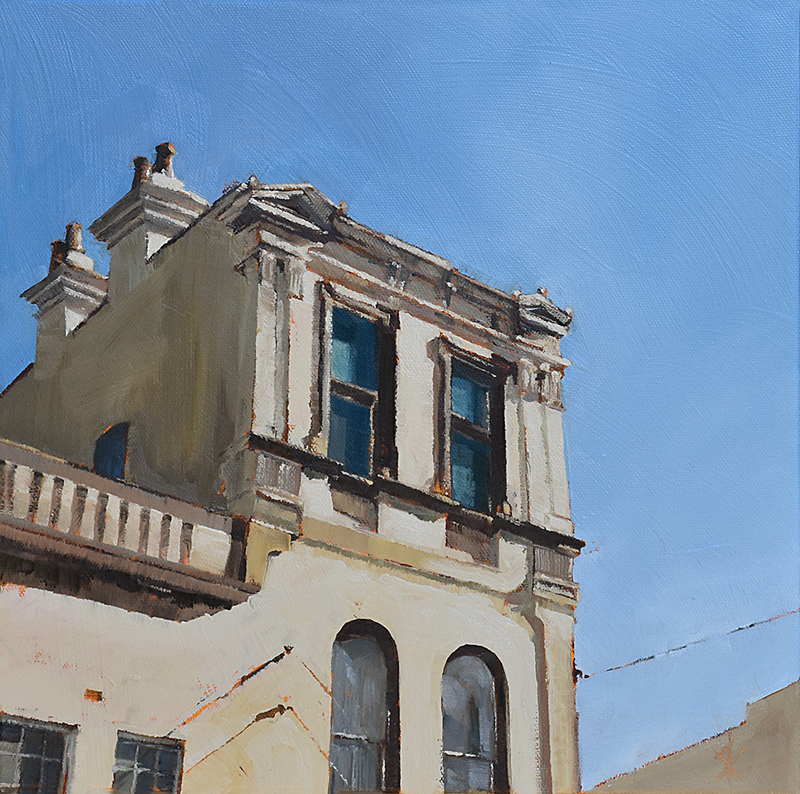 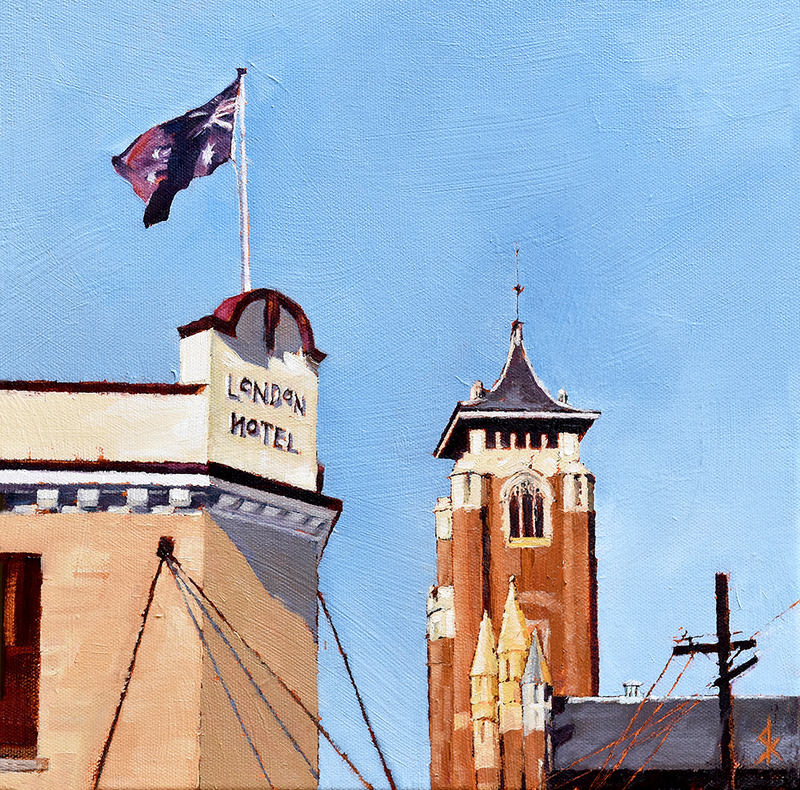 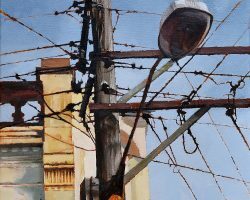 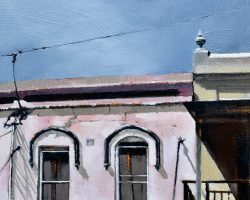 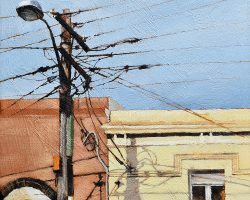 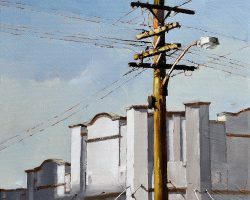 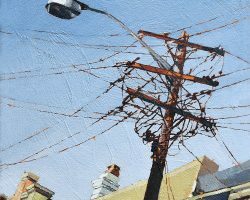 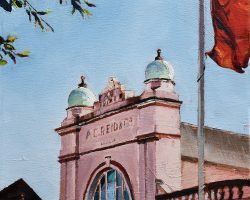 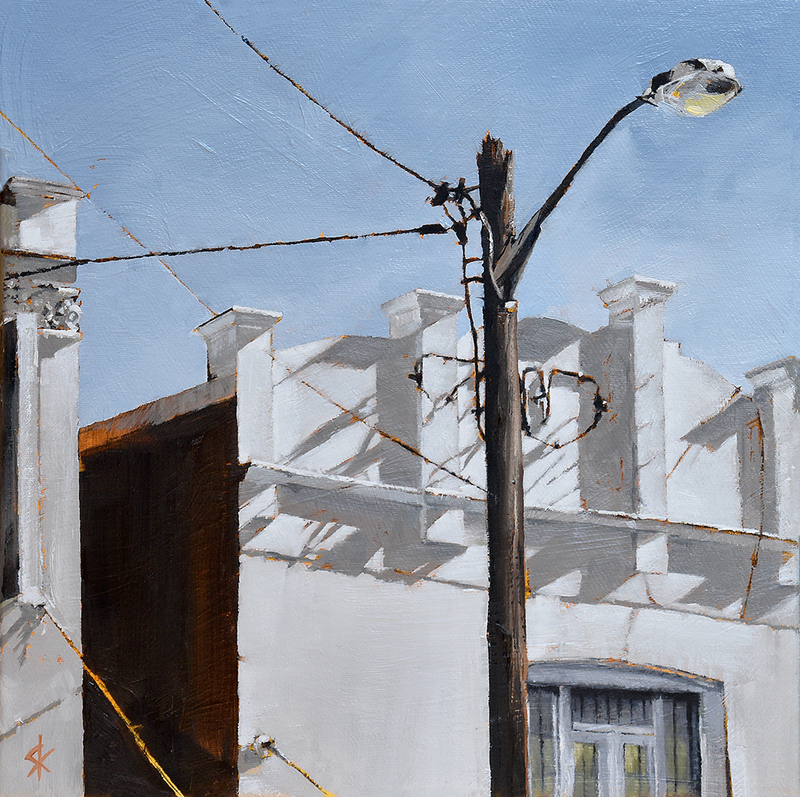 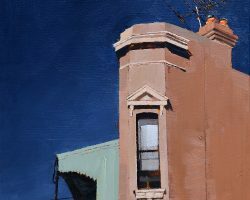 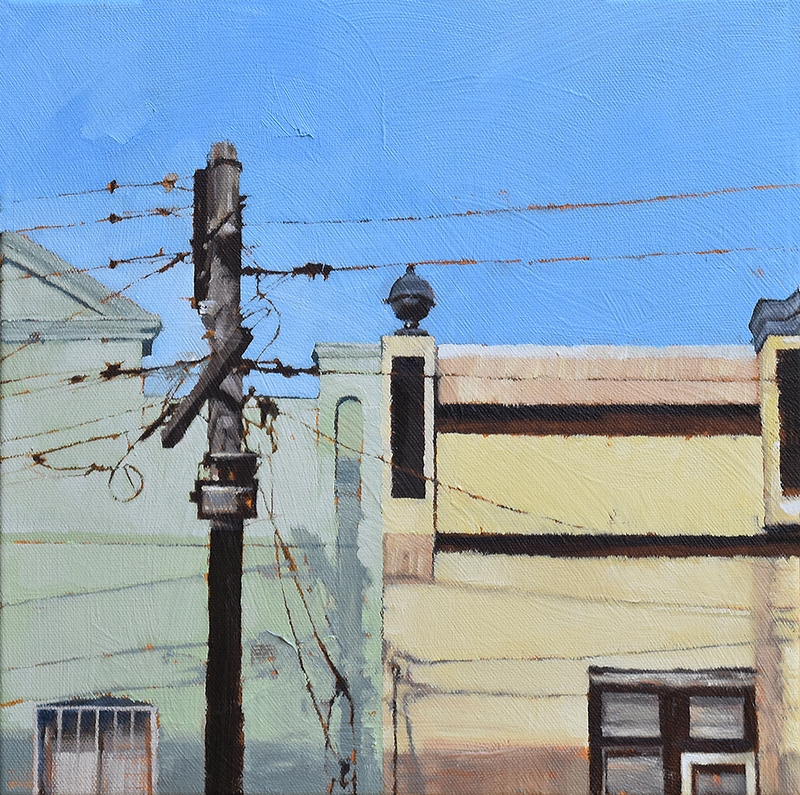 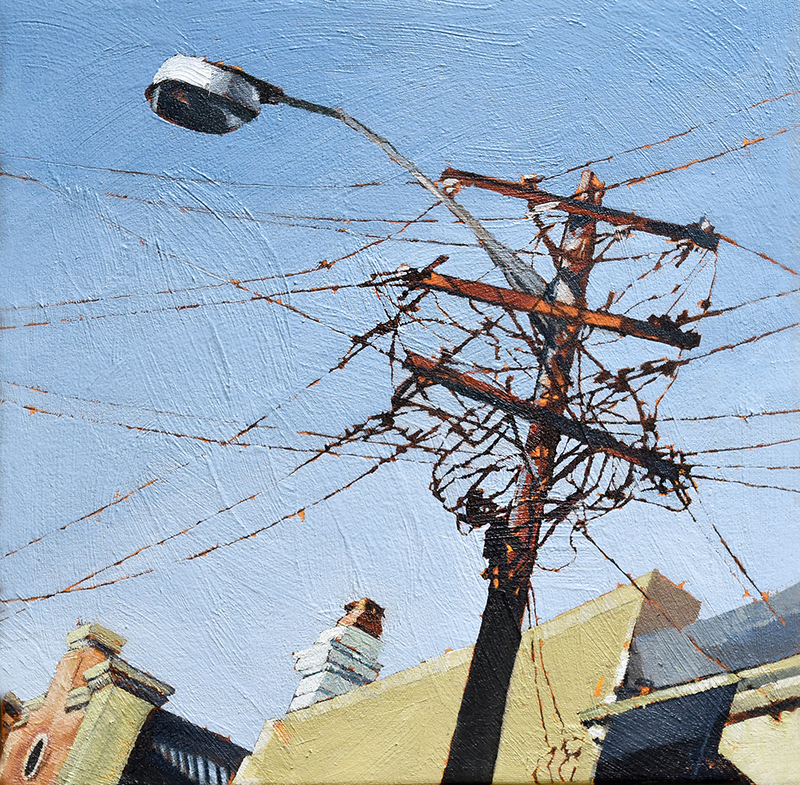 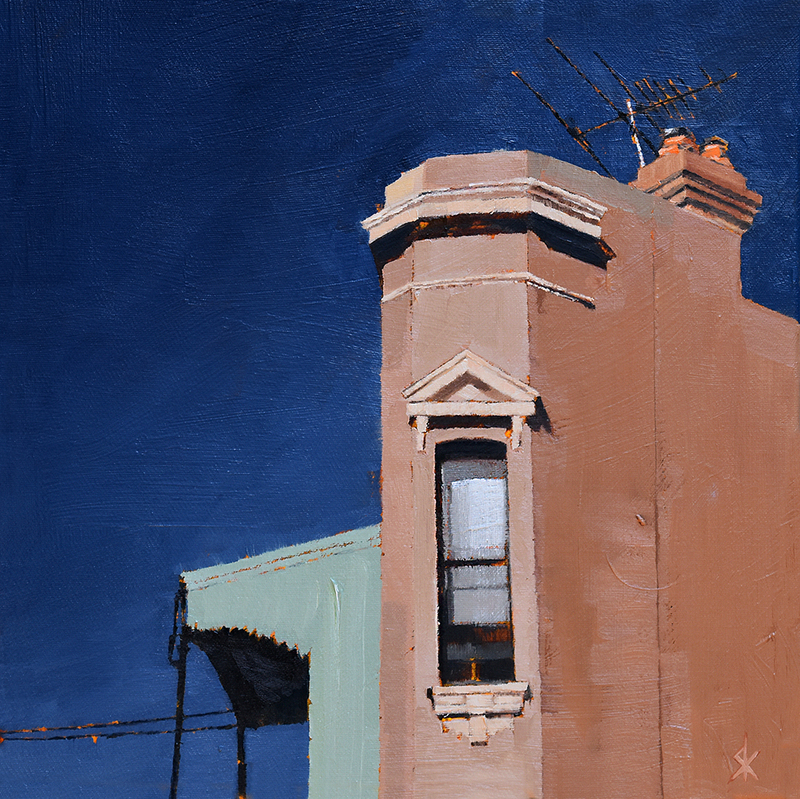 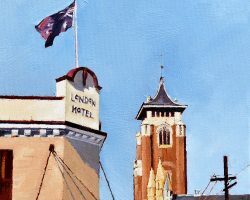 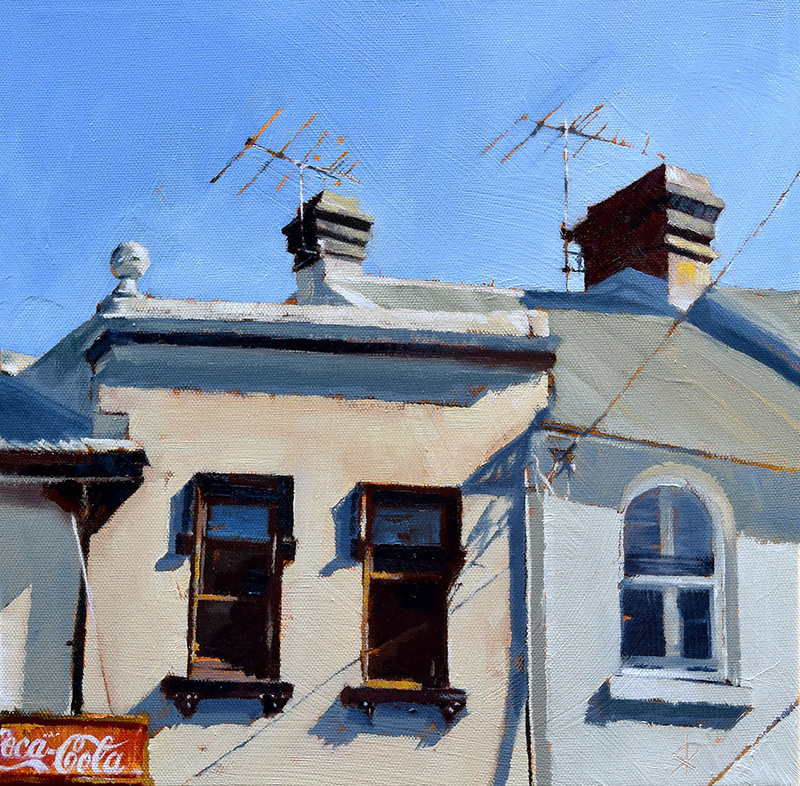 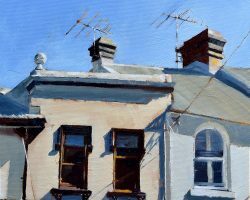 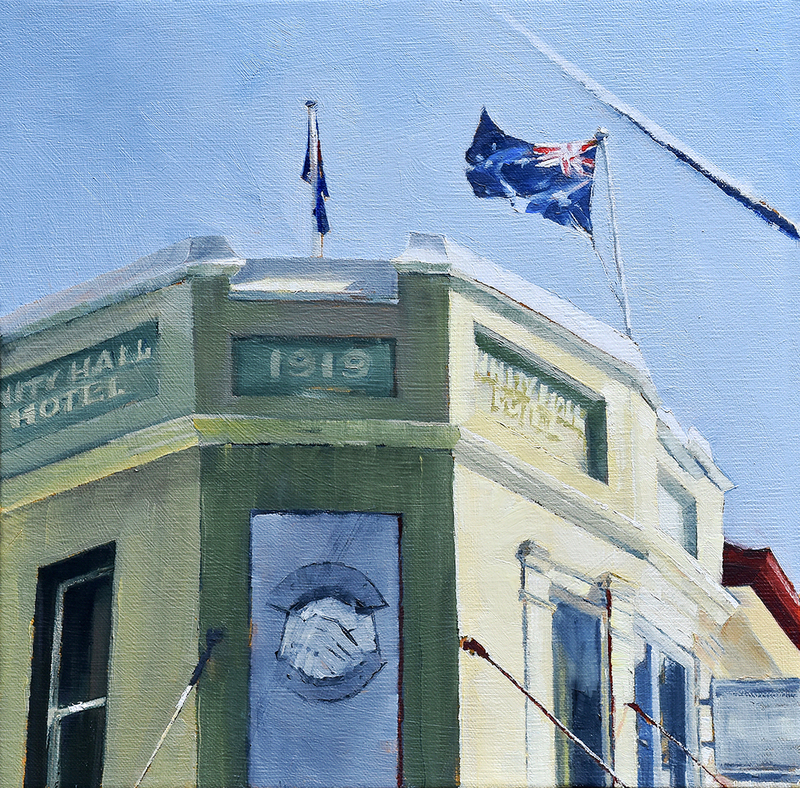 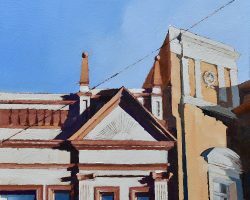 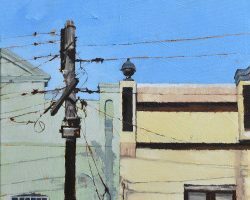 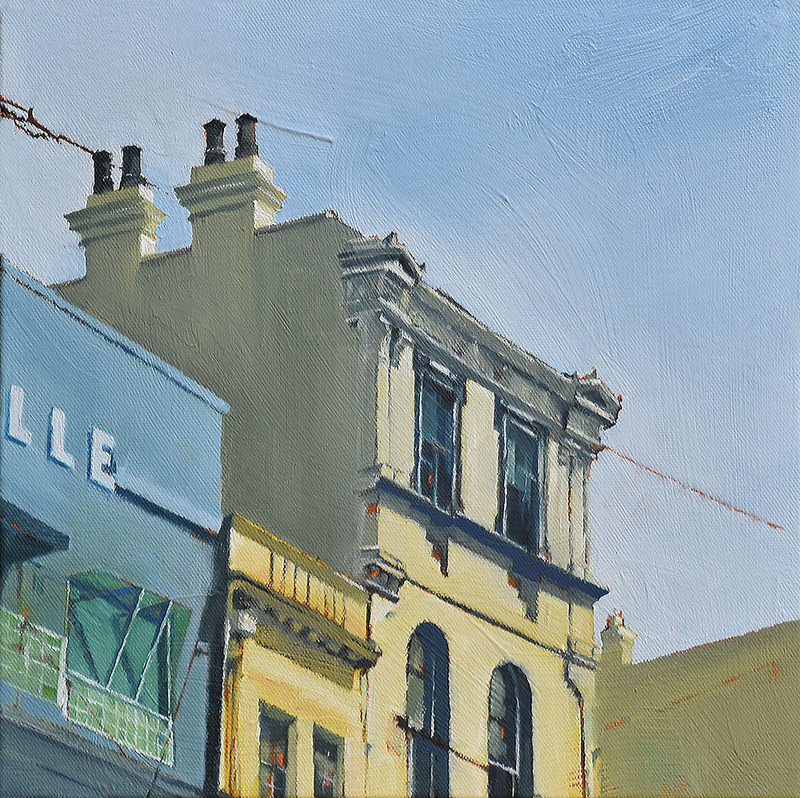 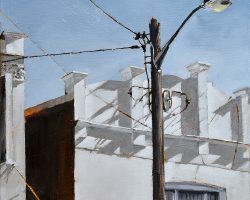 These paintings follow on from the success of my Peninsula Rooftops exhibition from 2016. 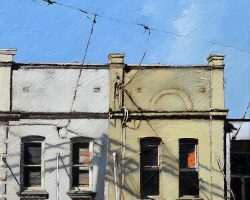 Some are local, some not, but they all have the same thing in common – they are mostly untouched by renovation and signage, retain their original character and are surprising little affected by the elements. 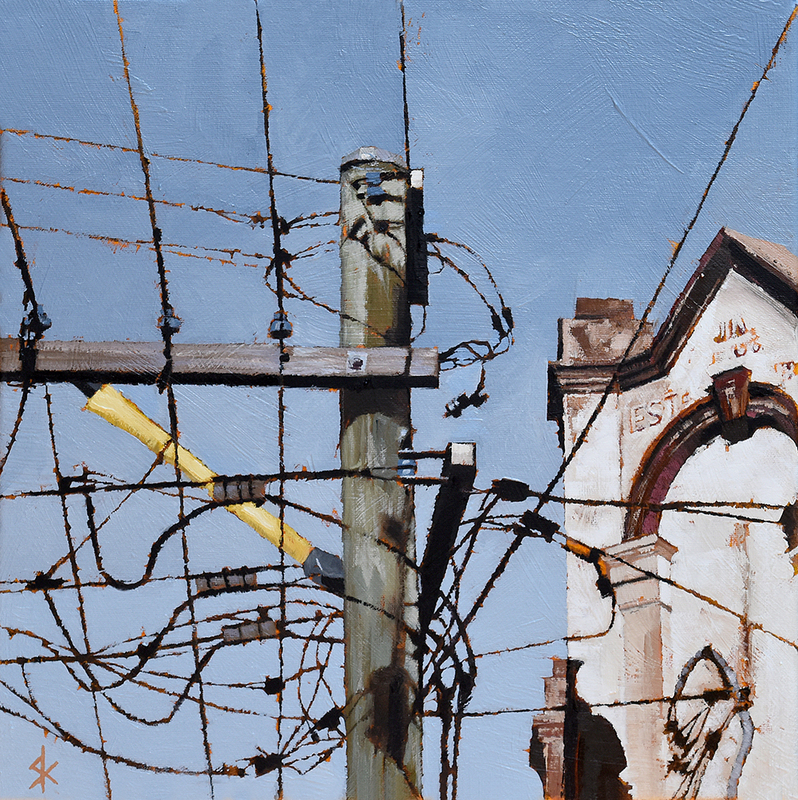 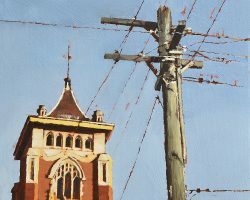 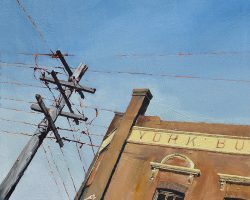 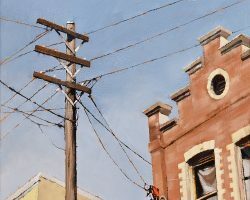 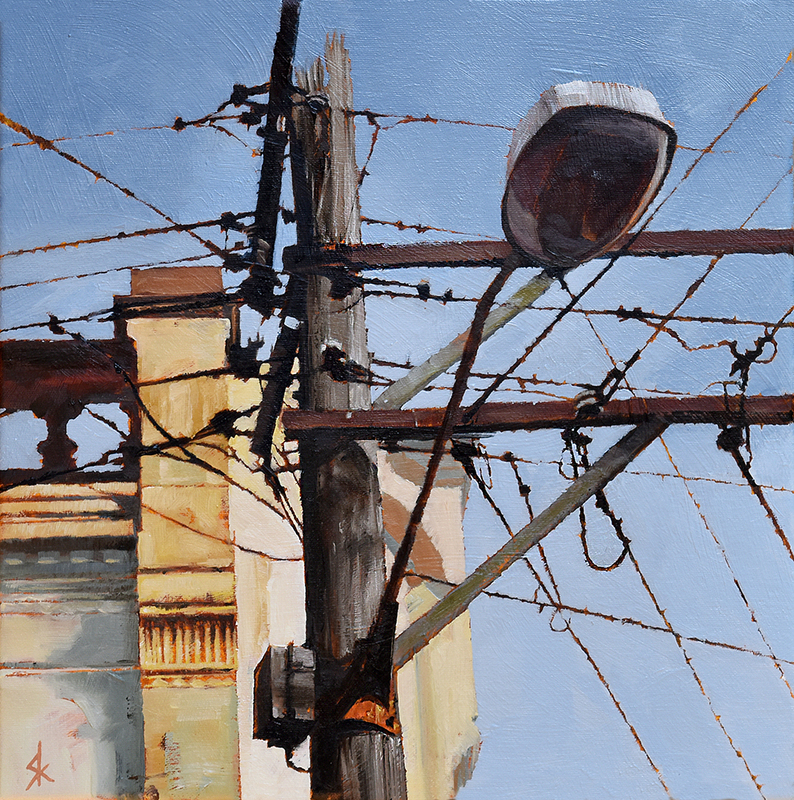 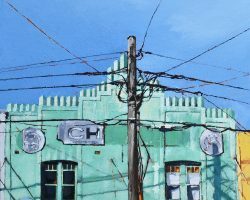 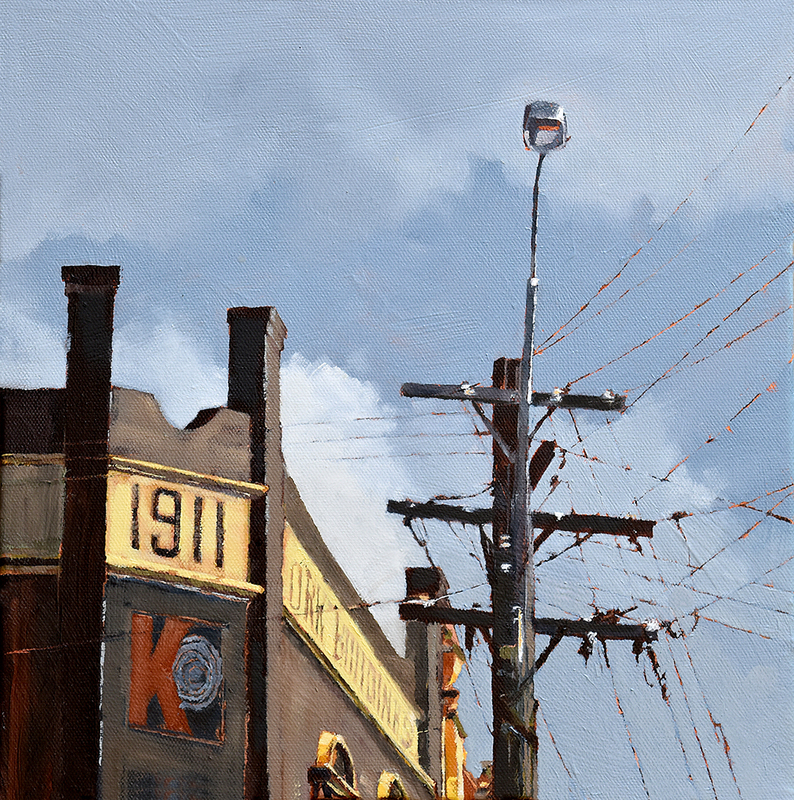 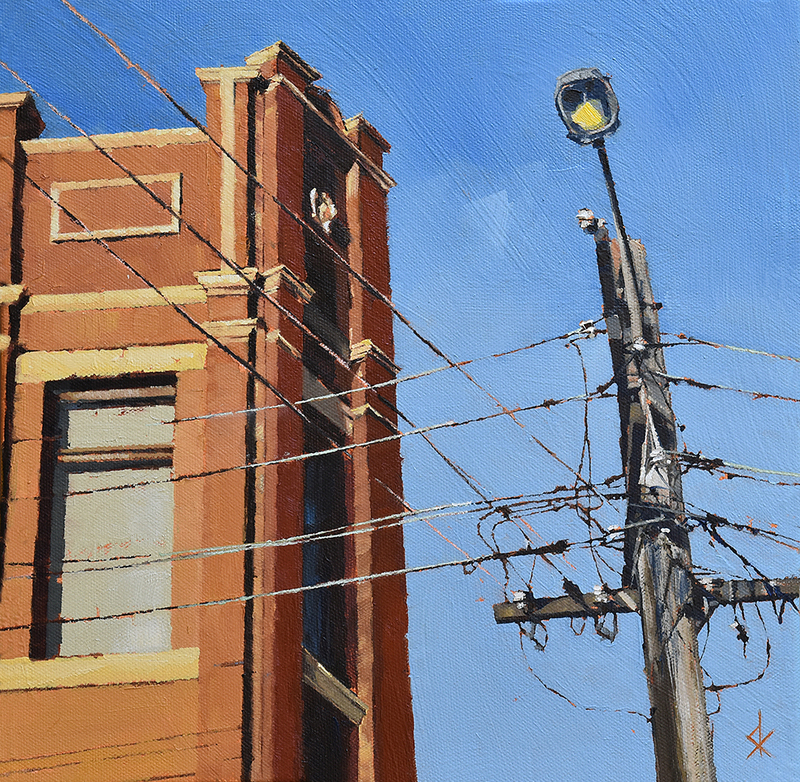 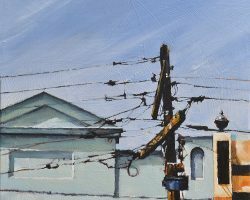 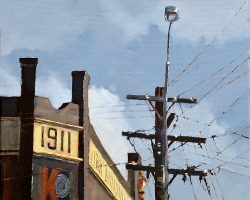 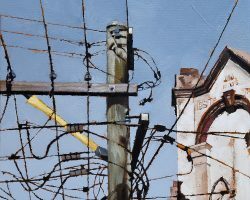 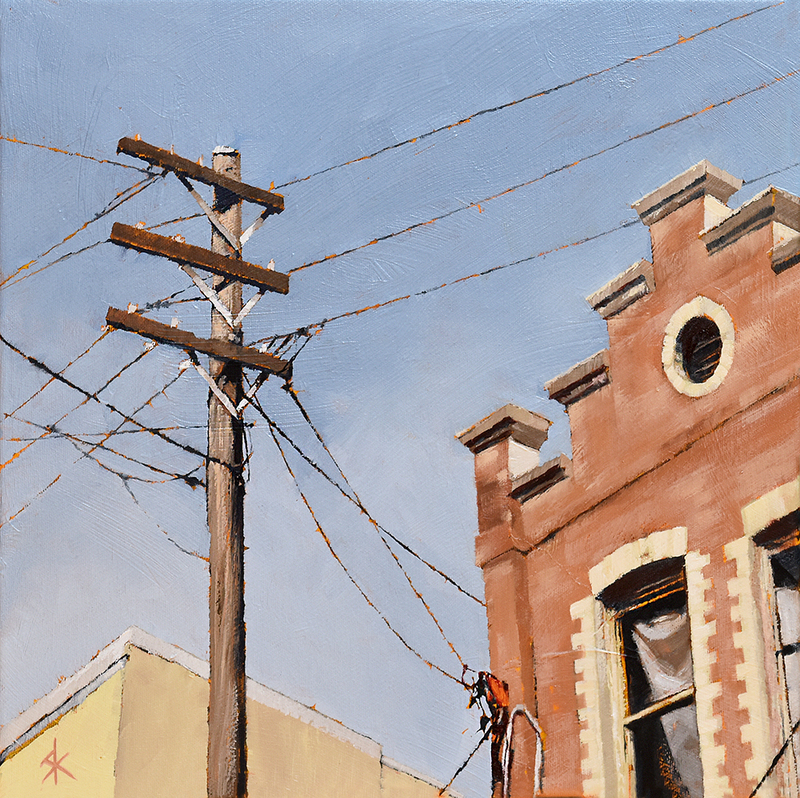 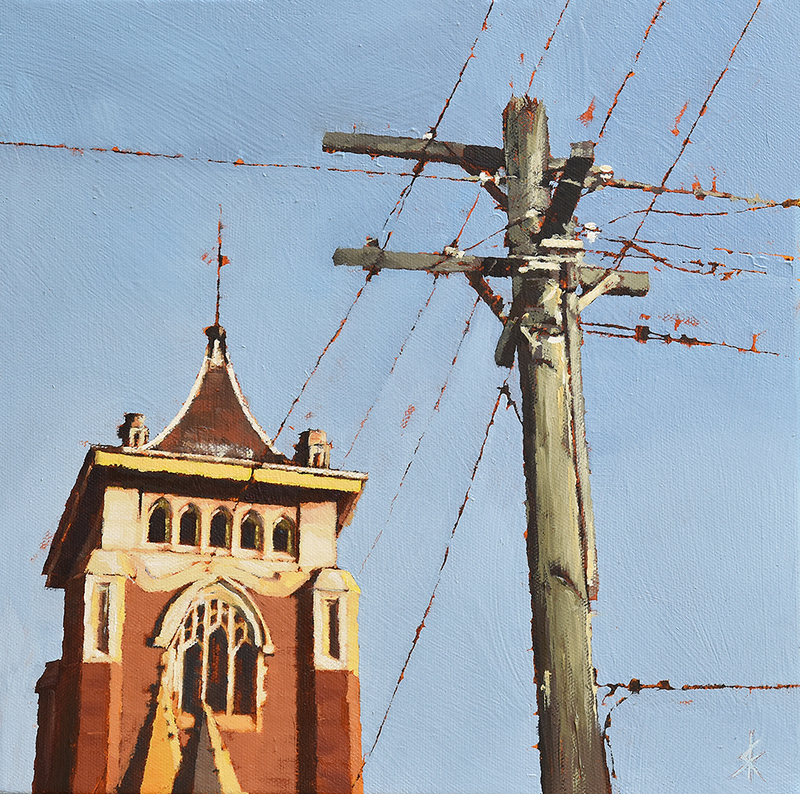 The rooftop and powerpole paintings started when I wanted to photograph the Balmain village but there were too many obstructions and clutter, so I looked up. 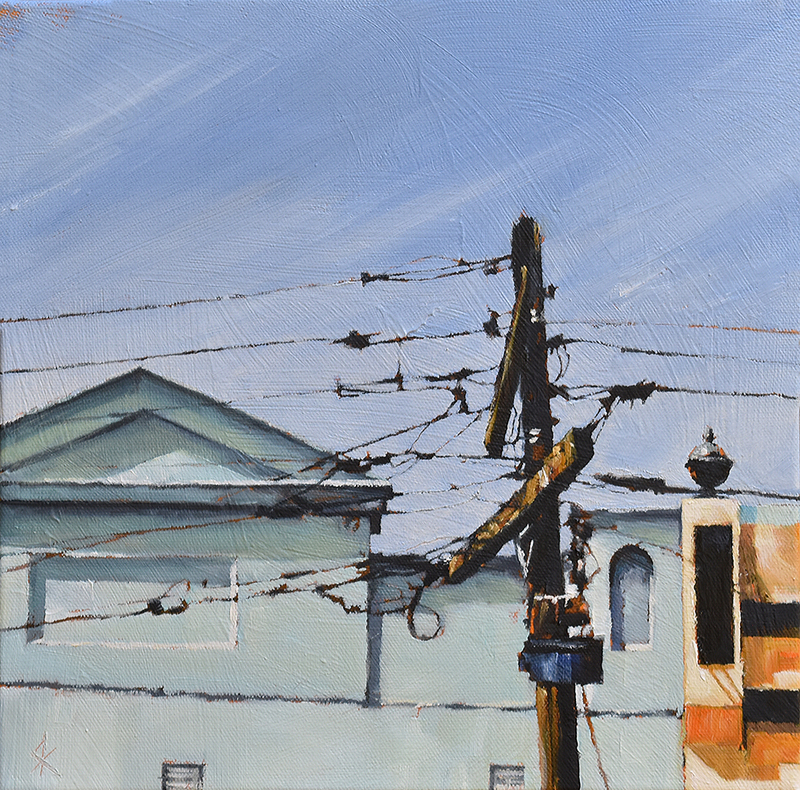 Do you ever look up at the sky, see blue and feel a tremendous sense of space and freedom? 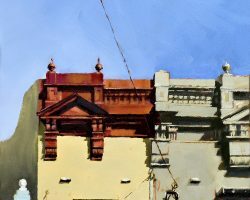 What I find fascinating in looking up, is that there is a whole new visual panorama that would otherwise go unnoticed.